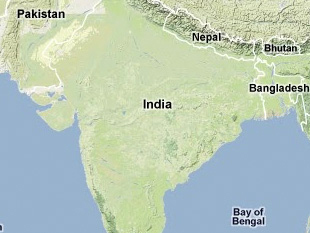 The Sriharikota High Altitude Range (SHAR) is one of India's primary space centers with facilities for the launching of sounding rockets and multi-stage satellite launch vehicles (including Polar and Geostationary), facilities for testing and assembling rockets, and the necessary tracking, telemetry, computational, and communications facilities for launch control, satellite control, and remote sensing. The range also has a static test facility for testing and qualifying different solid rocket motors and a solid propellant space booster plant to cast large size propellant grains for satellite launch vehicles. Before the commissioning of a dedicated test range for missiles in the late 1980's, India's Ministry of Defence also used the facilities at SHAR to test missiles being developed under the Integrated Guided Missile Development Program. SHAR is located on Sriharikota island, Nellore district, (Andhra Pradesh) on India's east coast. It covers an area 56 square miles with a coastal length of 16.7 miles. "Space Research," Atomic Energy and Space Research: A Profile for the Decade 1970-80 (Atomic Energy Commission, 1970), pp. 34-35. Department of Space, Annual Report: 1973-74 (Government of India), pp. 23, 26-27; "SHAR - Sriharikota Launching Range," Bharat Rakshak, www.bharat-rakshak.com. "SHAR Center," Indian Space Research Organization, www.isro.org.